It’s Little Wolf’s first howling lesson and he’s beside himself in anticipation. Big Wolf, his father, begins to school him in the “traditional howling form,” the way it’s always been done. While his son’s first howling is indeed eager and wholehearted, it’s a bit unconventional, and he expresses disapproval until he comes to an important realization. A sweet story about individuality, creativity and spirit. Serenely beautiful and eloquent depictions of twilight and the nocturnal forest. 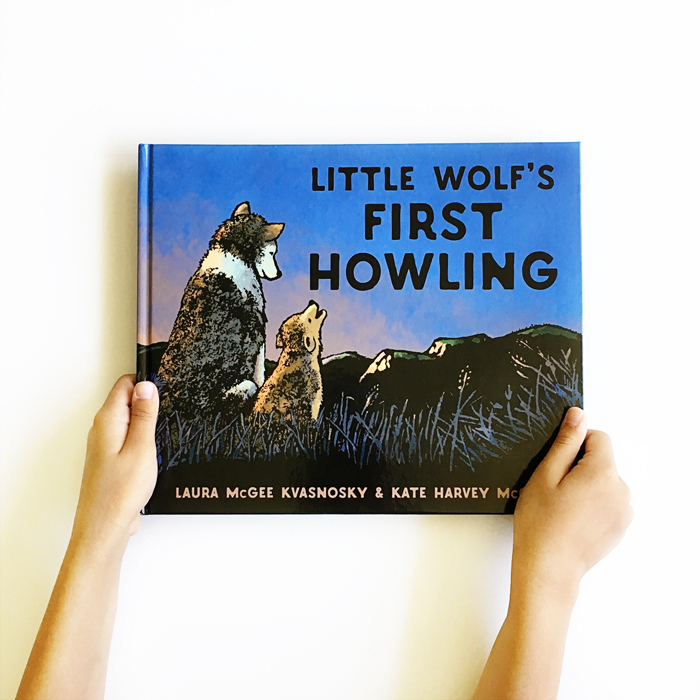 Little Wolf’s First Howling was written by Laura McGee Kvasnosky, and collaboratively illustrated by Laura McGee Kvasnosky and Kate Harvey McGee. Published by Candlewick Press.